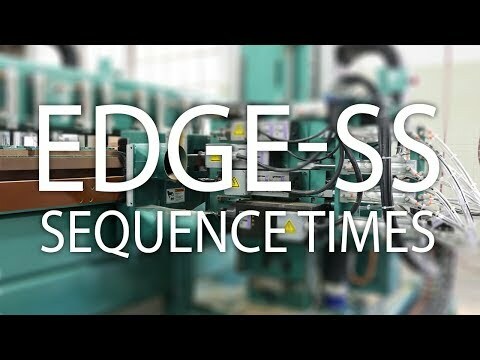 The Edge SS is a computer-controlled router designed to machine architectural doors for hinge pockets, T-strikes, concealed closures, flush bolts, leaf and European hinges, end pivots, as well as edge work for either cylindrical or deep pocket locks. 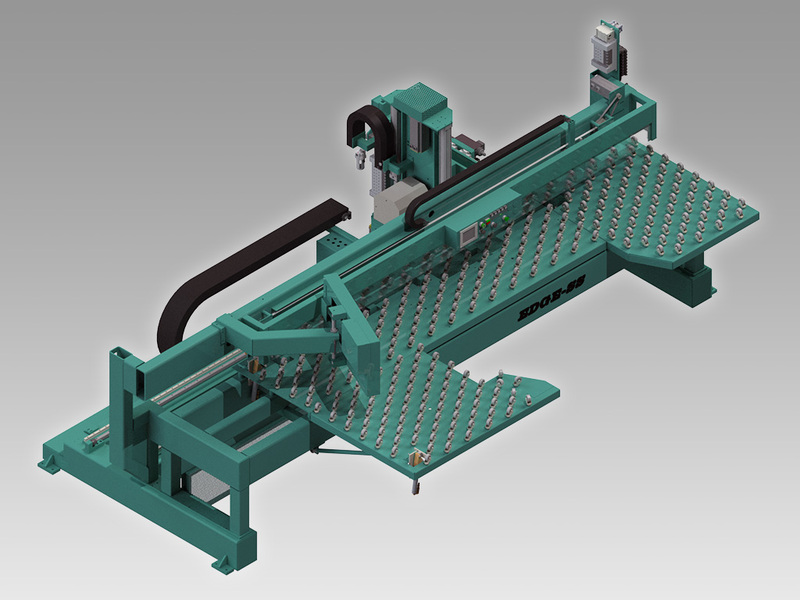 Many customers also use the Edge for re-railing and re-stiling operations. Design features include three heavy duty high frequency spindle motors mounted to a carriage which pivots from 0 to 3 degrees to match door bevel. Two of the motors are 7½ HP, which rotate in opposite directions. Kval software automatically chooses the correct router to eliminate chipping the door faces or edges. Maximum depth with these heads is 4½” deep. The third head is a 12 HP motor with a 7/8” solid carbide bit to rout pockets or drill holes up 5½” deep. An optional 3 HP motor is available with a short shank for fast routing of face plates and hinges, and this makes an ideal head for diamond tooling. A Door Touch-off system is used to automatically determine the length or width of the door from the ‘0’ or the fixed stop on the left end of the EDGE SS. With this system both left and and right hand doors are positioned against the same stop while the machining head automatically adjusts to the correct position based on the specified door hand selection. This system greatly increases productivity by eliminating extra door clamping steps and reduces the chance of positioning errors. Minimum sensing range for door touch off is 14”. For doors less than 14” wide the exact width will need to be manually entered. The ergonomically located electrical panel contains an industrial Windows compatible computer connected to a solid state motion controller. The computer allows an almost limitless number of routing patterns to be stored for instantaneous set-up. The machine tabletop is “L” shaped and consists of inverted caster wheels so doors are easy to position. This shape allows routing of either rails or stiles by simply rotating the door: three doorstops are provided at 4’ intervals. The first stop at the corner of the table is used for both stile and rail routing depending on door orientation. For opposite swing doors the middle and far end stops are used for rails and stiles, making it easy to machine top and bottom flush bolts and a T-strike without turning the door over.